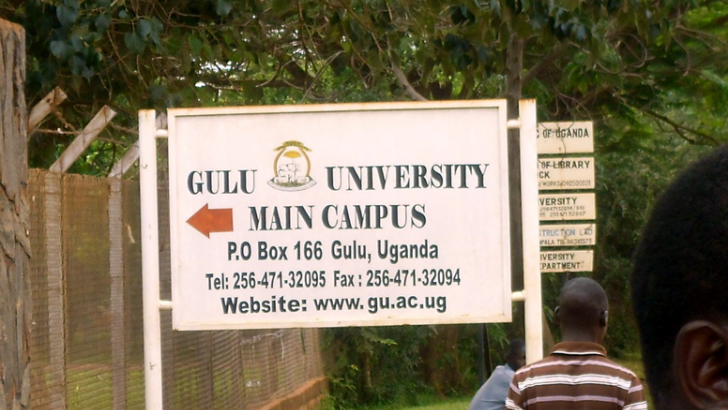 GULU – A Gulu University student identifying himself with People Power pressure group has vowed to drag the university administration to court for blocking his nomination for the guild elections. Imuran Ntambazi Java, a student of Bachelors of Computer Science, was on Saturday blocked from being nominated for the guild presidency by the university electoral commission because he had not met the electoral requirements. However, Java insisted that he had all the requirements. His supporters threatened to cause chaos upon which Edmond Okello, the university returning officer, explained that their candidate’s nomination was blocked by the Dean of Students. Mr Christopher Mpora, the Dean of Students, when contacted, declined to comment on the matter. However, Mr Okello explained that the university constitution doesn’t allow candidates affiliated to certain political parties. “That is why the Dean of Students didn’t recommend Java among the students who were supposed to contest for the Guild President position,” he said. Tonny Olanya Olenge, Java’s chief campaign manager, said they are consulting their lawyers on the way forward. “What they did is unfair to us, they stopped our candidate from contesting simply because he identified himself with the People Power pressure group, which is not a political party,” Mr Olenge said. People Power, a pressure group is associated with Kyadondo East MP Robert Kyagulanyi, aka, Bobi Wine. The guild elections are due April 7 and four other candidates were successfully nominated. Those nominated are Mr Alexander Okidi, a second-year student pursuing Bachelor of Development Studies, Samuel Oyet Agwani, a second-year student pursuing Bachelor of Arts, Education. Johnson Nowe, a third-year student of Medicine & Surgery and Moses Etyak, a second- year student of Bachelor of Computer Science. During the student guild elections at Kyambogo University in Kampala just over a week ago, the candidate representing People Power, Jonathan Tundulu, won the presidency. Also last week, Julius Kateregga, who also stood on the People Power ticket, won the guild presidency at Makerere University.